Verizon Wireless announced Tuesday that it will start selling the Samsung Galaxy Tab 7.7 tablet on March 1 in its online and physical stores. The price: $500 with a 2-year contract. That's a lot to pay for a 7-inch tablet. Assuming you sign up for Verizon's 4G LTE mobile broadband package, which costs $30 per month for 2 GB of data, you'll pay handsomely to use the Galaxy Tab 7.7: $1,220 over two years. Yes, you could buy six Kindle Fires for that sum. And the Verizon offer may be yet another sign that Samsung is out of touch with tablet shoppers. Take a quick look at the 7-inch color tablet market. What's selling the most? Amazon's $200 Kindle Fire, of course. Barnes & Noble's Nook Tablet, available in 8GB ($200) or 16GB ($250) configurations, is also doing well. 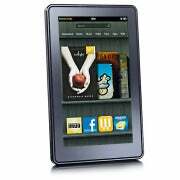 In a features contest, neither the Kindle Fire nor the Nook Tablet comes close to the Galaxy Tab 7.7, which is clearly the superior slate with 4G LTE wireless, front and back cameras, a faster processor, and a sharper Super AMOLED Plus, 1280 by 800-pixel display. Great specs, certainly. But not many of us want a diminutive slate that's six times the price of a Kindle Fire or Nook Tablet, both of which are perfectly capable devices for reading, browsing, video-viewing, and so on. The Galaxy Tab 7.7 has 4G LTE, you say? Well, it appears most consumers would rather save a few bucks and stick with Wi-Fi. A recent survey by The NPD Group's Connected Intelligence service shows that tablet owners overwhelming prefer Wi-Fi-only devices over those with cellular connections. As media reports from this week's Mobile World Congress in Barcelona suggest, Samsung's tablet strategy isn't working. According to CNET, Samsung executive Hankil Yoon dropped this bombshell on reporters at the show: "Honestly, we're not doing very well in the tablet market." Samsung is trying a new, price-sensitive approach, however. It recently unveiled its Galaxy Tab 2 family of lower-cost Android 4.0 tablets, including 7- and 10.1-inch models, which will begin shipping globally in March.